Jaundice is a yellow discoloration of the skin, mucous membranes, and the whites of the eyes caused by increased amounts of bilirubin in the blood. Jaundice is a sign of an underlying disease process. 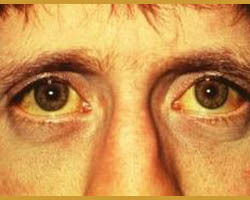 Conditions associated with jaundice; Yellow skin and eyes; Skin - yellow; Jaundice is the most common of all liver disorders. results in yellow color of the skin. The yellow coloring comes from bilirubin, a byproduct of old red blood cells. Everyday, a small number of red blood cells in your body die, and are replaced by new ones. The liver removes the old blood cells, forming bilirubin. The liver helps break down bilirubin so that it can be removed by the body in the stool. When too much bilirubin builds up in the body, jaundice may result. The symptoms of jaundice are extreme weakness, headache, fever, loss of appetite, severe constipation, nausea, and yellow discoloration of the eyes, tongue, skin, and urine. It is advisable to drink 8 glasses of water daily. Leafy green vegetables and fruits are also beneficial for patients of jaundice. Foods like coffee, alcohol, red meat and white sugar should be totally avoided. Intake of dairy products like cheese and milk should be cut down. MA jaundice-afflicted person requires plenty of sleep and rest. A diet including lots of orange juice, sugarcane juice and barley water is prescribed for jaundice patients. INTAKE OF SUGARCANE AND A LEMON JUICE IS VERY GOOD AND EFFECTIVE. HALF CUP BEETROOTJUICE WITH A FEW DROPS OF LEMON IN IT IS EFFECTIVE AND CAN CURE IN SHORT PERIOD. INTAKE OF BUTTER MILK WITH LITTLE BLACK PEPPER INIT . 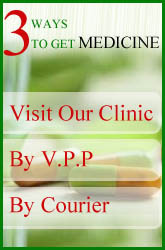 IRON SUPPLEMENT MUST BE INCLUDED IN DIET. OILS , FRIED FOOD, SPICY FOOD, PICKLES AND BUTTERS MUST BE AVOIDED. KARELA JUICE EMPTY STOMACH IN THE MORNING IS A VERY GOOD REMEDY. A fine paste of tender papaya leaves, about 1 /2 teaspoon paste, is taken with some water. Pour over a handful of lime leaves in 1 cup hot water and take the infusion. Mash a ripe banana along with 1 tablespoon honey and eat twice a day for a few days. 1/2 teaspoon ginger juice with 1 teaspoon each fresh lime and mint juice mixed with a tablespoon of honey. Take it frequently.